Very Good. 0241331161 ALL BOOKS SHIPPED WITHIN 1 DAY OF PURCHASE! Reading this book has been a long time coming for me. I heard of it a long time ago, but until recently, didn't realize that it was written by a Christian author. Yes, I said Christian. So if that is a turn off to you, then this may not be the read for you as it has a strong Christian influence. I, however, hope that each and every person decides to pick up this read because it has something to offer anyone of any background. Messages being portrayed and those learned by the characters are too good to pass up. A Wrinkle in Time is set initially on Earth, but the town which Meg lives isn't named. From there, the plot jumps to different worlds including Uriel, Camazotz, and Ixchel. There isn't a lot to say about the world building. We get a more defined image of Camazotz than anywhere, but a lot is left to the imagination. Each world varies immensely from one another. Uriel is a place of mythical beings and fantasy. Camazotz is technically-inclined, and Ixchel is straight from the belly of the Sci-Fi genre. While the plot is consistent, it is consistently slow-going.From the way I perceived it, when something did happen, it happened rapidly and without much explanation or walk-through. I felt that certain areas, especially the finale, could have been drawn out much more, and ended in not so "perfect" of a way. It seemed too easy...perhaps I am jaded. 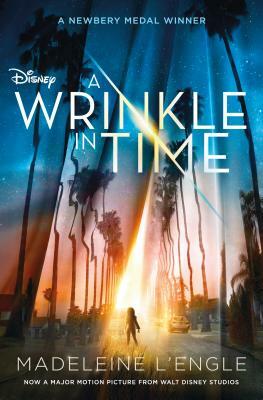 A Wrinkle in Time is told from the third-person point of view, but mainly hovers over Meg's character. Being the main protagonist, we learn most about Meg's character and get to know her the best. It's a bit disappointing, because Charles Wallace is incredibly intriguing. Meg's other brothers, Sandy and Dennys Murray, hardly get any page time but didn't do much to add to the plot either. Meg's parents also aren't delved into with much depth, besides the fact that their work on the tesseract is extremely important. Calvin, a schoolmate of Meg's, comes from a large family where he isn't noticed much. A jock at school, Meg hasn't interacted with him much. But when she and Charles Wallace come across him at the haunted house, he tags along on their adventure. Throughout the book, Calvin becomes romantically interested in thirteen-year-old Meg, who reciprocates the feelings. The Mrs. W's are an interesting, mysterious lot. My first instinct was to think that Mrs. Who, Mrs. Which, and Mrs. Whatsit represented the Holy Trinity. The three are billions of years old, and they possess qualities of the Father, Son, and Holy Spirit. But reading further, it's clear that they are only supernatural beings, like guardian angels to the trio, as they also give praise to God throughout. IT, a massive disembodied brain, and The Black Thing, a black cloud that shrouds overtaken worlds are the antagonists in the story. Representing all things evil, IT desires to control all and enslave humanity to its bidding. People who love freedom will love this major theme throughout the book. When the trio arrives on Camazotz, they are confronted by a rather odd scene. Everything, and everyone is in sync. They move mechanically, identically. Then, a glitch occurs with a kid who loses control of his ball, and that is when the trio realizes the true danger that they are facing. The idea that one mind controls all other is terrifying. There is no freedom of thought, individuality, or even faults. In this world where IT has taken over, a nearly perfect dictatorship occurs, where no one can deviate from IT's influence in any way. As always, love is the answer. Not cutesy love, but deep, selfless, and sacrificial love, which Meg demonstrates when she returns to Camazotz to free her brother Charles from IT's influence. The theme of good vs. evil is obviously an overarching theme. The Mrs. W's are the forces of good, guiding Meg and the gang through strategies to overcome the forces of evil. However, the guardians cannot defeat the evil themselves and require Meg, her brother, and Calvin to step up in order to overcome evil. References to God and the Bible are prevalent throughout this book and serve as inspirational, motivational, and instructional influences for the characters. Yes, you read that right. In a world that is constantly trying to prove that these to subjects don't belong in the same realm, L'Engle shows that they do, and they can. Inspired by her studies in quantum physics, she created a science-infused story combined with Christianity.
? The meaning and purpose.
? Meg's overall disposition and unlikeability.
? Calvin and Meg's insta-lovey relationship. I'm glad I took so long to getting around to this review. When I initially finished reading this book, I wasn't blown away by it. However, now that I've had a lot of time for it to stew, I find that I appreciate it more and more...and more. L'Engel's perceptiveness of the world is obvious and majorly contributes to the overall awesomeness that A Wrinkle in Time reflects. I read another of L'Engle's books last year, Walking on Water: Reflections on Faith and Art where she discusses her artistic expression and how it coincides with her faith. In that book, she talks about her journey (because it took a while to get this series published) with A Wrinkle in Time. Majority of the people who turned her down thought the series was too strange. However, (and I agree with L'Engle) I believe it's because this book was misunderstood. There is true brilliance behind this concept, that it may just take the freedom of a child's mind to grasp. As adults, our thoughts become adulterated with perceptions that we miss the grander scheme of things. There were times when I was wishing for more detail, then I realized that that's the point: we are supposed to use our imagination when we read. The main reason I gave this book only three and a half stars was because I wasn't a big fan of Meg as the protagonist, and found her quite irritating. Despite that fact, I really enjoyed the overall concept and would recommend this read to anyone. A Wrinkle in Time leads the reader into the world of advanced mathematics and programmed life. Rescuing their missing father, partly because he must be rescued and partly to stop the rumors that he has run off with another woman, is critically important. To say more would be to create a spoiler, so I will stop now. As usual, L'Engle is religious without being preachy. Hard to explain, but you travel through time and space confronting and besting evil!!!! This is a very nice story. I had read it as a child, and know I liked it then. Now, 40 years later, I enjoyed reading it again. It is a book not only children will enjoy. This is the first in L'Engle's "science fiction" trilogy, although the book goes far beyond what we normally think of as science fiction. it also goes beyond its billing as a children's novel. L'Engle has stated that she doesn't direct her writing at a specific audience and I believe her. Although the main characters in the book range from adolescent Meg Wallace to her pre-school-aged brother, Charles, adults will find much to pique their curiosity. And to add spice to the mix, the other-worldly Mrs. Who, Mrs. Which and Mrs. Whatsit appear, blown in from where-we-do-not-know. The plot eventually develops into a futuristic orwellian-type mind-control situation where the children struggle against the evil forces that seek to control them in order to free their father. The "method of their warfare" however, is unique and the ending provides a soul-refreshing Truth.